We carry out a number of sand filled pitch services across the UK including construction and maintenance. These facilities are very popular for schools because they provide an all weather alternative to natural grass. The sand infill helps to keep the grass fibres upright, and creates ideal playing qualities for football, hockey and tennis. 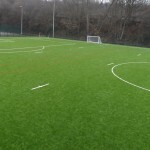 We are able to install the pitches to suit a number of specifications and dimensions as the process is completely customisable. Our team will look at each client’s budget and requirements to design the whole facility in the most cost effective way. 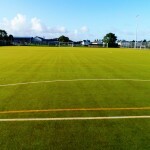 In many cases these pitches will be used as multi use games areas as they are suitable for use with a number of sports. Feel free to contact us for more advice on the specifications and all of the services that we offer. What is a 2G Sand Filled Surface? Sand filled synthetic turf is a vertical pile tufted carpet with sand infill and is a hard wearing all weather sports surface. 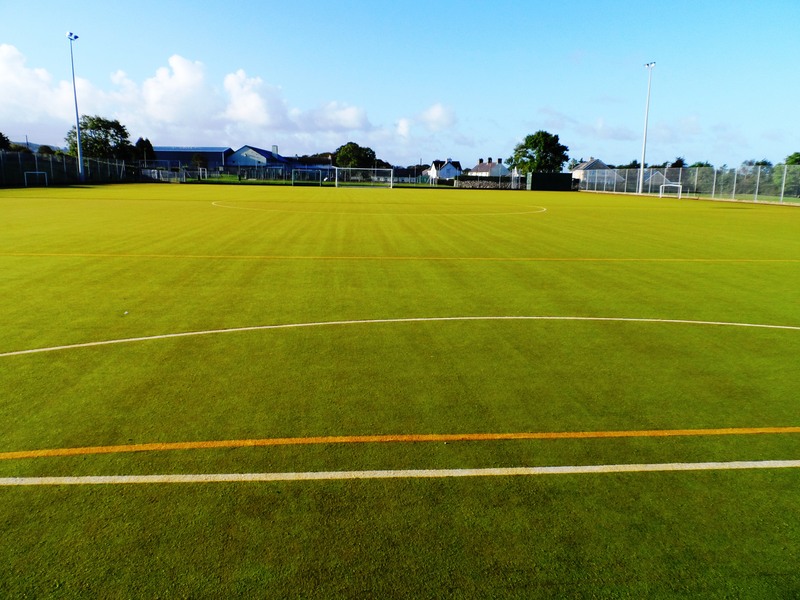 This sand filled surfacing is ideal for both a full size Synthetic Turf Pitch (STP) and also a Multi Use Games Area (MUGA) because it has good durability and has progressed vastly from previous astro turf. The pile yarn can be polypropylene, polyethylene or nylon material and the pile height varies to what sports are being played. The most common pile height is usually the 20-24mm multi use carpet fully infilled with a silica sand to support the backing and keep the yarns vertical. 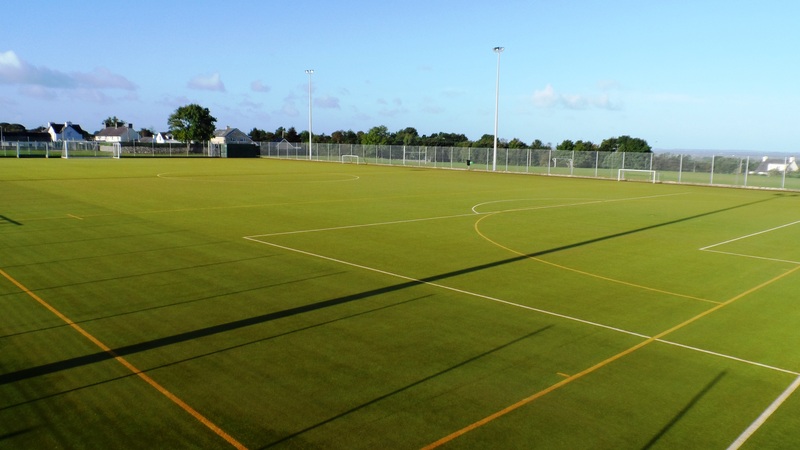 2G sand filled artificial turf surfacing is ideal in schools, leisure centres and for sports pitches where several sports are needed to be played like football, hockey, basketball, netball and tennis. It is fully porous so it offers all weather qualities and won’t become flooded during wet conditions. 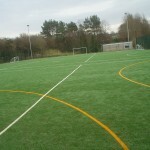 The surfacing can be customised to suit specific activities, and it suitable for both recreational and competitive play. 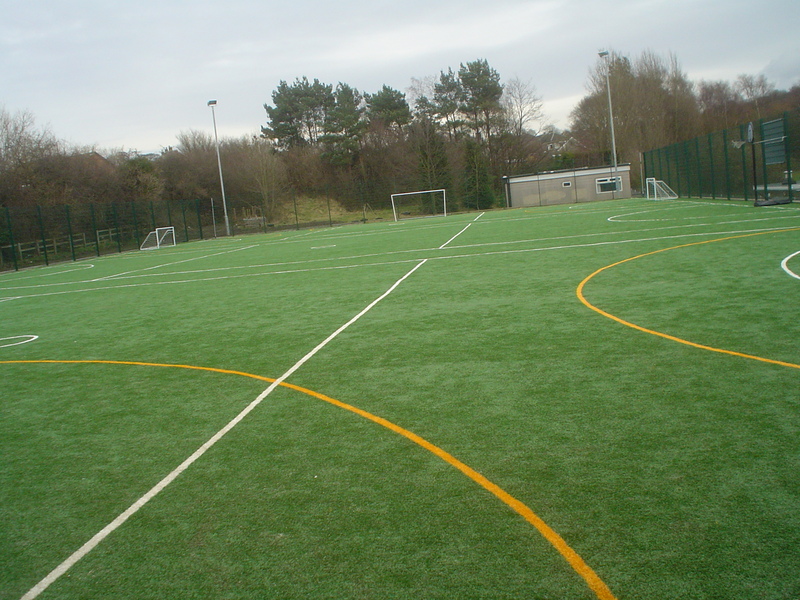 These 2G sports pitches have become very popular in the UK in recent years. This is because many schools, colleges and sports clubs are choosing to replace old, muddy grass surfaces with a brand new artificial grass facility. The sand filled specification requires less maintenance than natural grass and still provides excellent playing characteristics. 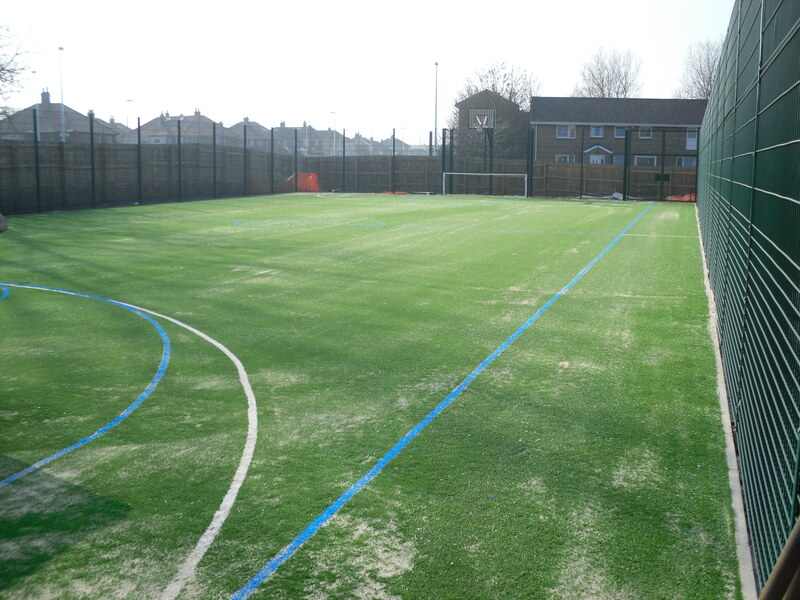 Sand filled sports surfacing can provide good water drainage to prevent flooding and damage to the pitch. Because of this, the facility can be used all year round and in all weather conditions which is a great quality for schools and colleges. As a primary surface, this is perfect for hockey as it meets the FIH governing body accreditations however it will also meet ITF and LTA standards for tennis. The 2G turf can also marked with football, netball and athletics line marking amongst others making this a perfects all round surface for schools, colleges, universities, leisure centres and sports clubs across the UK. Our team can install brand new 2G surfaces in many locations to create diverse sports facilities. The sand filled pitch construction process involves preparing the groundworks, laying the synthetic turf carpet and securing it at the joints and edges. We’ll also apply the sand infill evenly across the pitch to help keep the turf fibres upright and stable. Our team have completed many of these projects so you can be sure that the final result will be a top quality sports surface. We can also supply additional features such as floodlighting and rebound fencing to extend the usage of your pitch, making it suitable for evening matches and training. 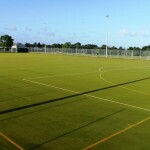 The costs of installing a sand filled synthetic grass sports pitch can vary greatly depending on the specification and dimensions of each project and the existing conditions of the surface. 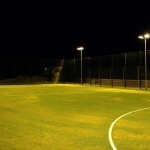 If you require equipment such as floodlighting and rebound fencing this will also have an impact on the cost, however installing these extra features can help to increase revenue for your organisation as it means the facility can be rented out during non daylight hours for evening training sessions and matches. It’s important to look after the facility by carrying out sand filled pitch maintenance on a regular basis. This could include brushing through the fibres, applying moss treatments, deep cleaning and rejuvenation of the infill. Each of these processes helps to keep the carpet in top condition and ensures that the area is completely safe for players to use. If a sand filled sports pitch is not looked after properly, this can have a negative effect on the performance and safety characteristics of the surface, meaning that the quality of game play is compromised and the facility may not be suitable for use. The construction of a sand filled sports pitch can include the installation of a shockpad which helps to improve comfort for players and reduces the risk of injuries to joints and muscles. This video shows the process of extracting and testing infill from a sand filled sports pitch that had become dirty and was holding water. The sand was tested for levels of contamination to determine whether a rejuvenation was needed to remove the existing sand and replace it with a new clean layer to restore the playing qualities. 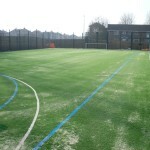 Our team have worked on many of these projects at schools and local sports facilities in the UK. As experienced sand filled contractors we will be able to carry out the work exactly as you would like it. If you have a budget to stick to we’ll try and keep costs affordable for you while still making sure the finished product as the best quality. For more information regarding specifications and prices for sand filled synthetic grass surfacing as well as an estimate of costs for your project, please fill in our contact form and we will get back to you with some friendly advice. Be sure to include your post code and an area size of the sports facility in question so we can create an accurate price quotation. 1 What is a 2G Sand Filled Surface?